A renovated outdoor hockey rink was unveiled Thursday in San Jose ahead of the 2019 National Hockey League All-Star Weekend in the city. The unveiling, courtesy of the NHL, the San Jose Sharks and the city of San Jose, took place at Roosevelt Park and Roosevelt Community Center at 901 E. Santa Clara St. The rink originally opened in 1995 to provide a safe and accessible place for children and families to grow their love of the sport. 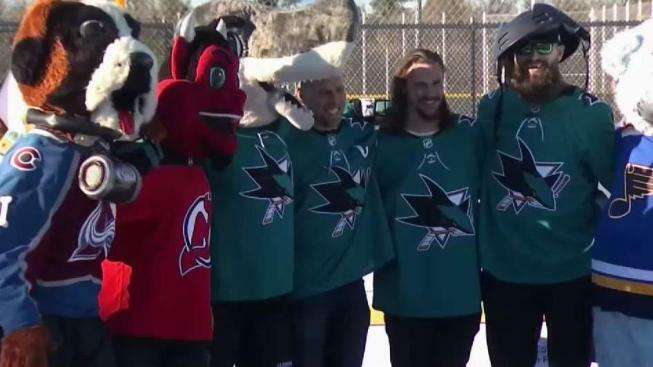 Sharks all-stars Joe Pavelski, Brent Burns and Erik Karlsson were on hand, along with NHL Commissioner Gary Bettman to cut the ribbon on the new rink. "This is going to be a fun weekend, and this was a fun way to kind of kick it off, with this NHL Legacy event," Pavelski said. "This is a great rink; I think there's going to be a lot of fun times out here for the kids."